I'm leading a geology / geomorphology guided walk around Ceibwr tomorrow, and wanted to check out a few things this morning. It was almost too hot, with hardly any wind -- and a very low spring tide. Perfectly serene, as I wandered along the clifftop looking for till exposures. Here is one of my pics, with Easter greetings to all friends! There is a flurry of research at the moment which is suggesting that the "Neolithic Revolution" came with immigration from the east, across the English Channel and from the near continent. Since time immemorial, of course, this has been speculated about by archaeologists and historians, with some thinking that waves of immigrants came in around the coasts via the Celtic Sea or southern Ireland, and others thinking that the natural routeway was via the shortest sea crossing, on the reasonable assumption that travellers would have preferred to walk rather than row or sail, with all the extra attendant risks involved in using flimsy vessels in stormy waters. Note this piece of speculation in the press release: "They might have entered Britain from the west, through Wales or south-west England. Indeed, radiocarbon dates suggest that Neolithic people arrived marginally earlier in the west, but this remains a topic for future work. In addition to farming, the Neolithic migrants to Britain appear to have introduced the tradition of building monuments using large stones known as megaliths. Stonehenge in Wiltshire was part of this tradition." I wouldn't mind betting that that particular piece of speculation was put in by Prof MPP (he was one of the authors), but there does not appear to be any evidence in support of it, so I think it can be ignored. Indeed, the evidence in the paper seems to suggest that in the far west the communities were rather small, scattered and somewhat backward in adopting the new farming practices. Of course, the MPP theories demand that the people of West Wales were powerful and sophisticated, capable of building a "proto-Stonehenge"somewhere well before 5,000 years ago, and capable of carrying up to 80 quarried monoliths all the way to Stonehenge for some ritual or political reason round about the time that Stonehenge was being built. Even if some of the cromlechs in Pembrokeshire were built relatively early, there is nothing in the evidence of Neolithic Pembrokeshire to suggest the development of a culture that involved elaborate stone settings using non-local stones. Indeed, there is nothing to suggest that the Neolithic tribes of West Wales treated any stones as sacred or special, no evidence that they were capable of moving monoliths from a place of origin to a distant place of use, and no evidence that they made any grand gestures (let alone a spectacular gesture related to "political unification") towards other tribal groups further to the east. "Ancient genomes indicate population replacement in Early Neolithic Britain"
Then comes another article, kindly drawn to my attention by Alex. It's in New Scientist, dated 30 March 2019, pp 29-33. 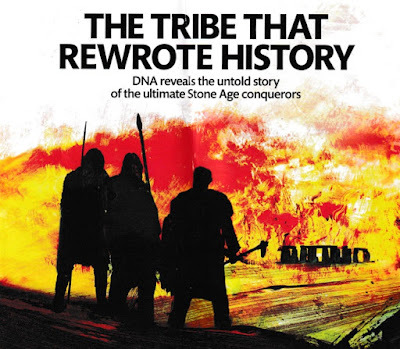 It's called "The Tribe that re-wrote history" and it's written by Colin Barras. 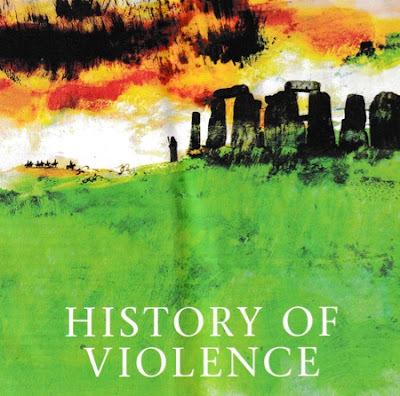 As we see above, the page heading is "History of Violence." Quote: "Teams led by David Reich at Harvard Medical School and Eske Willerslev at the University of Copenhagen in Denmark announced, independently, that occupants of Corded Ware graves in Germany could trace about three-quarters of their genetic ancestry to the Yamnaya. It seemed that Corded Ware people weren't simply copying the Yamnaya; to a large degree they actually were Yamnayan in origin." The "bell beaker" people came slightly later, adding yet more confusion. "The first thing to appreciate, says Kristiansen, is that Neolithic Europe was in crisis just before the Yamnaya's arrival. Using the poilen record from archaeological sites as a proxy for levels of agricultural activity, archaeologists have concluded that populations in northern and central Europe began shrinking about 5300 years ago. In December 2018, Kristiansen and his geneticist colleagues suggested an explanation. Examining the teeth of Neolithic people who lived in what is now Sweden about 5000 years ago, they found plague-causing bacteria - the earliest known relative of the Black Death. Further analysis suggested the disease began spreading across Europe perhaps as early as 5700 years ago." One interesting idea is that the spread of disease was facilitated by improving "roads" and trackways, and the use of wheeled vehicles. 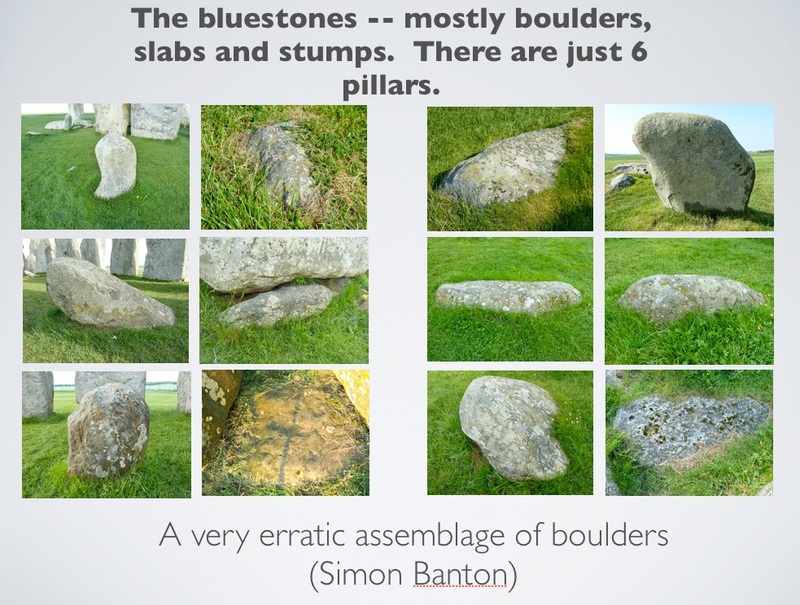 (We note that the discussions about bluestone transport have been underpinned by the assumption that there were no wheeled vehicles available for use in Neolithic Britain, or that the terrain was too rough for them to be used.) But there is a growing consensus that the "Britons" who built Stonehenge were in decline -- and the population of Britain was actually falling -- before the Yamnaya and bell beaker people arrived. The genetic analysis now seems to show that the Stonehenge builders virtually disappeared within a few generations of the Yamnaya's arrival. How do we square that with the idea promoted by MPP and others that there was a highly-developed and even sophisticated lifestyle involving long-distance trading, a knowledge of far-distant megalith provenances, and gigantic feasts at places like Durrington Walls? It appears that there is a serious and complex discussion right now about what happened in Britain (and the rest of Europe) round about the time that Stonehenge was being built. 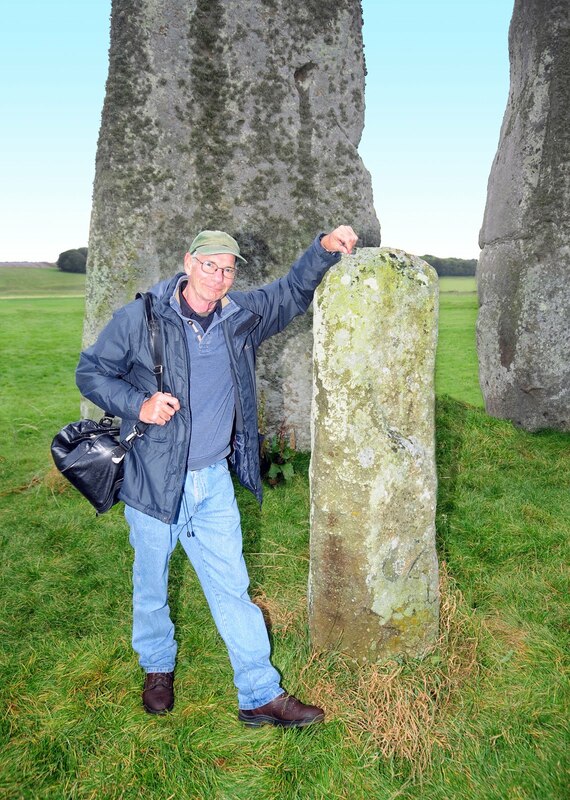 This is happening because of the increasing involvement of geneticists working on DNA samples -- and it looks as if some of them, at least, are questioning the assumptions about Stonehenge being the "pinnacle" of a vibrant Neolithic culture centred on Salisbury Plain. What they seem to be suggesting is that the Neolithic was a time of scattered tribes with rather variable cultural traits, and that they were in a long-term decline partly because of the spread of the plague. There appears to be no good evidence of any cultural diffusion eastwards from West Wales towards the chalklands of southern England, or indeed of any strong trading links. On the contrary, most of the immigration and most of the new cultural trends were coming from the east, both in the "Neolithic Revolution" and in the influx of the Yamnaya and bell beaker tribes who replaced the "Ancient Britons" as they died out over not much more than a century or so. Now then, what were we saying about glaciers? 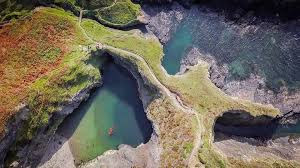 On talking to some of my local contacts, it look as as if my earlier speculation about the end of "bluestone quarry mania" in Pembrokeshire was correct. Apparently Mike Parker Pearson and his merry lads and lasses will not be digging in Preseli this coming September. 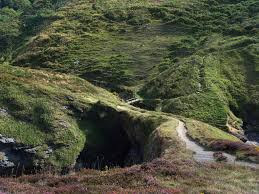 No applications for excavations have been received by the Barony of Cemaes, the National Park or Natural Resources Wales, for further digging at Waun Mawn, Bedd yr Afanc or elsewhere. So have they finally given up, after two years of frantically searching for a giant circle of standing stones at Waun Mawn and finding nothing at all of any interest? It looks like it, although there is some talk of future possible small-scale geophysical work in the area, not involving any excavations. The lack of planned activity in 2019 is claimed to be down to the fact that MPP is due to have a hip replacement operation later in the summer, which will render him incapable of digging. But it's interesting that out of his team of around a dozen archaeologists -- including some quite senior ones -- not one of them has been prepared to step up to the plate and take over as the dig organizer. It looks as if all of them have gone off to pastures new........ excuse me for having a fertile imagination, but I have this image in my mind of rats jumping off a sinking ship. 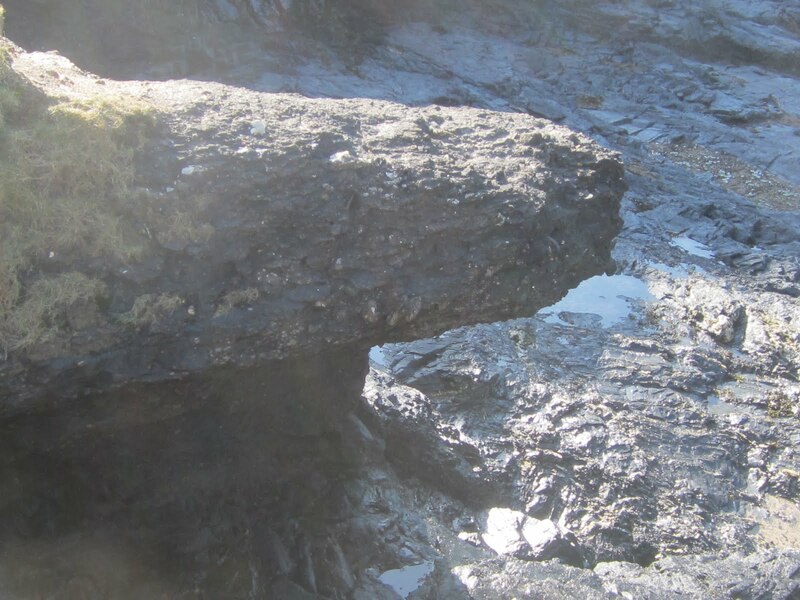 Of course the reasons for the abandonment of the Preseli bluestones project are far more complex. I suspect that funding has dried up, for a start. It's a miracle that a funding stream has been maintained for eight years on this project, given that MPP and his team have produced no sound evidence for either bluestone quarries or local bluestone settings that might have been linked to Stonehenge. (They have claimed in a string of articles that quarries have been found at Rhosyfelin and Carn Goedog, but as I have said many times on this blog, in my book and in published articles, their "evidence" does not withstand scrutiny, and in any case their quarrying hypothesis is falsified by their own published radiocarbon dates.) They have also refused to cite publications which are critical of their research, and have existed in a state of denial about the fact that there is a scientific dispute going on. 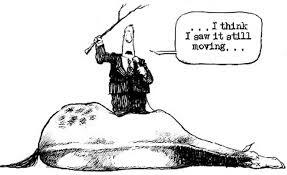 That is scientific malpractice, and it may well be that other senior archaeologists and those in charge of the research funding stream have noticed what is going on, have finally lost patience, and have pulled the plug. No cash equals no dig. Finally there is the little matter of the mess that was left behind on Waun Mawn last September, and the failure on the part of the diggers to abide by the terms of their consent from Natural Resources Wales. I covered this rather embarrassing matter last autumn, in a couple of blog posts. So the reputation of the diggers (and of MPP himself, as the leader) took quite a hit, and NRW was not best pleased. I enquired as to the actions that they took, and I gather that there was quite a stiff reprimand. 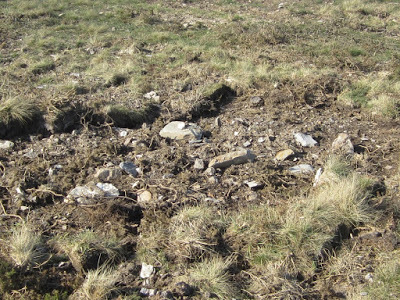 I imagine that any consents for future work within an SSSI are likely to have much more onerous conditions attached -- and I imagine that there will be much tighter monitoring of what the diggers are up to. So, in conclusion, we have a demoralised workforce, a failure to deliver on "anticipated results", and probably a refusal by funding organizations to throw in any more good money after bad. My guess is that the "Preseli bluestone project" is dead. Mind you, it has generated a lot of column inches and TV and other media exposure -- not bad for something that was, and is, a very jolly scientific hoax. 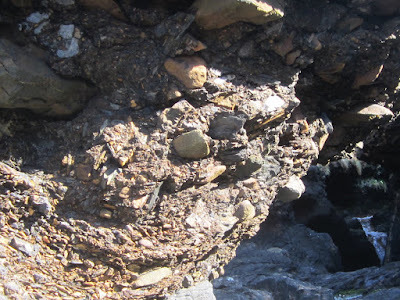 Oblique and vertical photos of the coastal footpath in the vicinity of the Witches Cauldron. The best exposures are in the gully downstream of the footbridge. Sandloess and colluvium -- c 50 cms. Uncemented. Holocene? 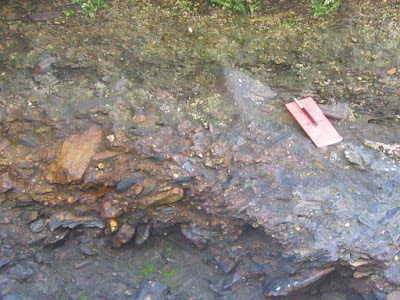 Clay-rich Irish Sea Till -- up to 2 m thick. Uncemented. Devensian? Clay-rich colluvium -- c 20 cms thick. Uncemented but stained / gleyed. Ipswichian interglacial? Glaciofluvial gravels -- c 1.5m thick. Stained and cemented. Anglian? Stony till -- up to 1m thick. Stained and cemented. Anglian? 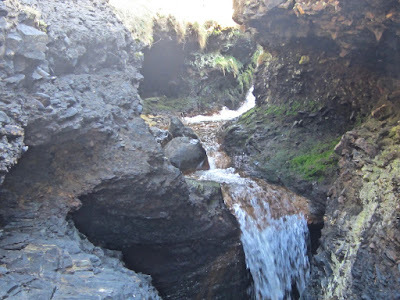 The stream plunging into a tunnel over a bedrock ledge. 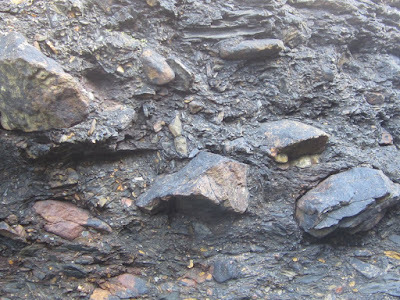 To the left and right there are exposures of cemented slope breccia, till and glaciofluvial gravels -- all stained with iron oxide and manganese oxide. Projecting mass of cemented and stained Quaternary deposits. At high tide wave action is eroding away the shale bedrock beneath these sediments, which are more resistant to erosion -- thus creating the spectacular overhang. Two exposures of stained and cemented till -- so solid that it is difficult to examine. Erratics of many different shapes and sizes, some rounded and sub-rounded, in a sandy and gravelly matrix. The till complex here is up to 2m thick, and it is clearly seen to overlie c 50 cm of slope breccia full of angular bedrock fragments. Some of these blocks are up to 30 cm long -- with very irregular (frost-shattered?) shapes. The till also incorporates horizons of bedded sands and gravels -- up to 50 cm thick. This is important, indicating oscillations in the depositional environment and suggesting that the till is probably not a lodgment till. Much slope breccia has been incorporated into the lower layer of the till. On the stream bed there are many large stained boulders that have been released from the till. 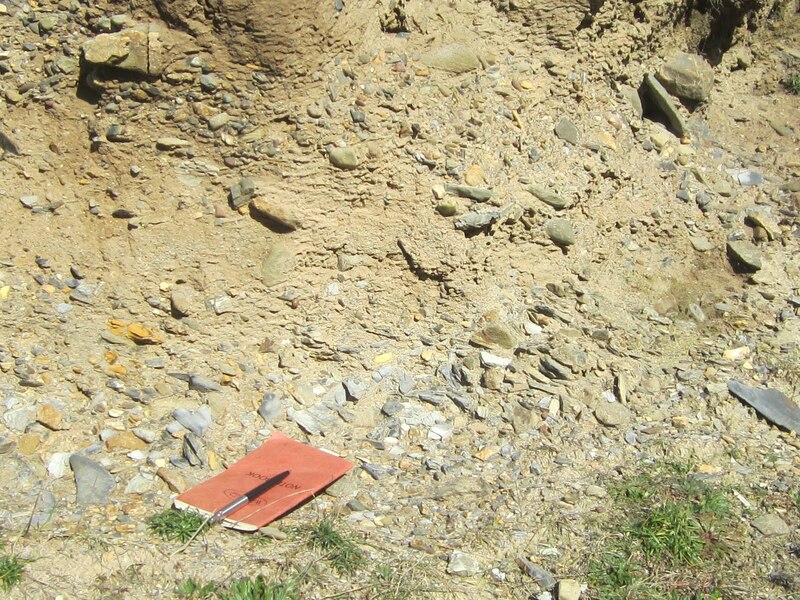 In this exposure we see cemented slope breccia at the base, resting on shale bedrock, then a layer (c 40 cm thick) of cemented till, and then above the level of the notebook stratified cemented gravels. Upstream of the footbridge we can see, in the river banks, various exposures of the cemented till, and there are abundant "conglomerate boulders" -- some over 1m across -- made from the cemented till and glaciofluvial deposits which clearly exist within the steep-sided valley. There are also very many other rounded and sub-rounded erratic boulders. These deposits appear to be extensive and thick. 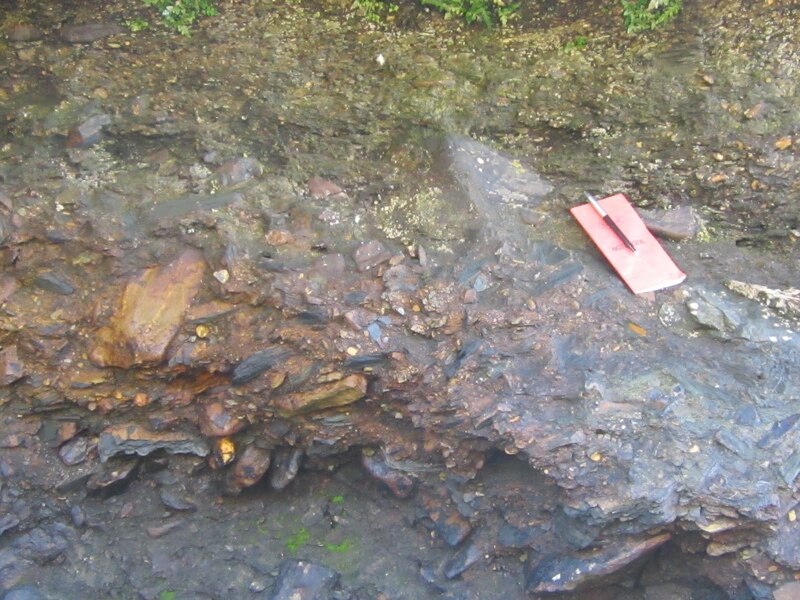 In many locations adjacent to the footpaths we also see much more recent uncemented Quaternary deposits. Here are there disturbed slope breccias (usually less than 50 cm thick) are seen beneath fresh till which is up to 2m thick. The till is very complex, and in many places it is seen to incorporate lumps and patches of cemented (ancient) till. This is, after all, what we might expect if Irish Sea Ice has come in from the coast and has overridden pre-existing deposits. There are no fresh glaciofluvial deposits above the fresh till, but here and there we see pseudo-stratified slope deposits around 30 cm thick. Most of the fragments are small -- up to 10 cm diameter -- and they are made of local soft shales and mudstones which have simply moved downslope. Above that, we see a thin layer (c 20 cm) of colluvium, sandy loam and modern soil. Exposure adjacent to the footpath at the top of the slope above the "cauldron". 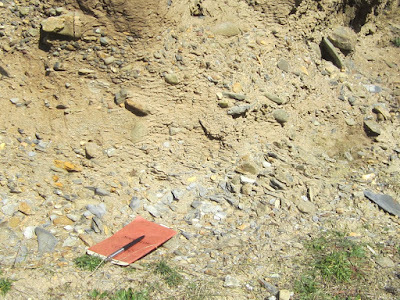 This is a sandy till, but in the lower part of the exposure (around the notebook) there is a high percentage of broken bedrock fragments derived from overridden slope breccia horizons. Brecciated slope deposits -- up to 50 cms thick. Uncemented. Early Devensian? Stony till -- up to 50 cm thick. Stained and cemented. Anglian? Glaciofluvial gravels -- c 1.5m thick. Stained and cemented stratified sands and gravels. Anglian? Stony till -- up to 50 cm thick. Stained and cemented. Anglian? Brecciated slope deposits -- up to 50 cm thick. Cemented. Anglian? Have the bluestone quarry hunters called it a day? 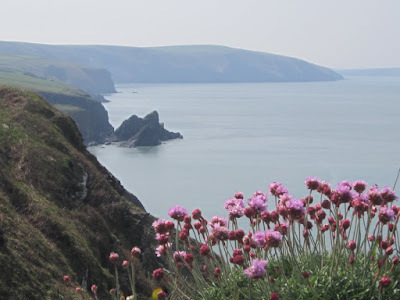 The 2019 edition of the National Park "tourist newspaper" called COAST TO COAST has now been published, with all the events planned for the coming holiday season -- and for the first time since 2011 there is no mention of a bluestone quarrying talk at Castell Henllys (or anywhere else) presented by Prof MPP towards the end of September. Last year he gave two talks on successive evenings, at the same venue -- but really had very little to say. So this probably means that he and the rest of the jolly quarry hunters have at last given up on their hunt for Proto-Stonehenge and for even more bluestone "quarries"-- and have accepted that they have been flogging a dead horse for the last few years. Two seasons of fruitless searching at Waun Mawn might have tipped the balance. Or maybe it's the funding organizations who have come to the dead horse conclusion, have finally got fed up of MPP and the others refusing to accept that their findings are disputed, and have at last pulled the funding......... Not before time, one might say, given that we have complained endlessly about scientific malpractice at Rhosyfelin, Carngoedog and Waun Mawn. We have also noted with interest that the archaeological establishment which should be enforcing good practice appears to have turned a blind eye to all the misdemeanours of the dozen or so archaeologists and geologists involved. I suppose there is a chance that funding applications are still being processed, and that digging plans are not yet finalised. We shall see. I'll report on any developments. Thanks to Neil Wiseman for this 2017 pic of him standing next to bluestone 33 (one of the spotted dolerite pillars) (I think we can call this one a pillar!) in the bluestone circle at Stonehenge. This is a rather interesting stone -- one of those claimed (somewhat foolishly) by Mike Parker Pearson as having come from his famous Carngoedog "quarry". 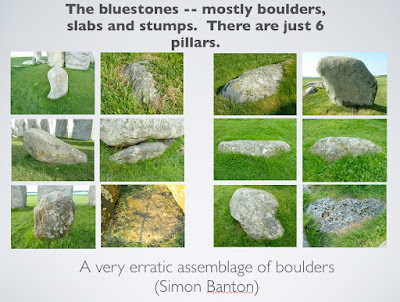 It has a rather battered surface, and is one of around ten bluestones that have been shaped or tooled in some way. The six or seven bluestone which have the most obvious traces of shaping are in the bluestone oval or horseshoe. The "worked" stones most often cited in the literature are lintels 36 and 150, stones 67 and 70 (uprights with tenons) and the tongue and groove "pair" (stones 66 and 68).